When you think of luxury yachts, Monaco has to be one of the first destinations that springs to mind. Sitting at the heart of the French Riviera, next to its neighbours Cannes and Nice, Monaco attracts a host of the largest yachts in the world every summer. Monaco is perhaps most famous for the Formula One Grand Prix which takes place every May, twisting around the cities winding streets and in front of the famous Port Hercules. Monaco remains a superyacht hotspot throughout the summer months drawing luxury yacht owners and celebrities to take in its fantastic restaurants, boutique shops, and chic party atmosphere. 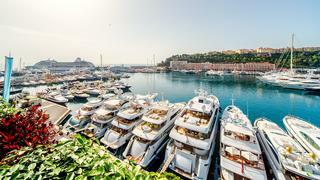 The superyacht season in Monaco draws to a close with the Monaco Yacht show. Whether on a luxury yacht charter in Monaco or visiting on a private luxury yacht, this principality is the place to see and be seen. 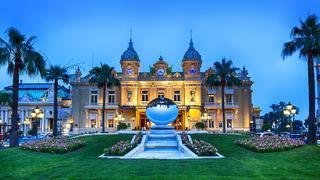 When to visit Monaco on a superyacht: May to September is the best time to visit Monaco on a superyacht. Monaco is at its busiest in July and August as well as during the Monaco grand prix in May and Monaco yacht show in September. Events not to miss in Monaco: The grand prix in Monaco takes place every May and is one of the highlights of the world’s sporting calendar. If you want to be berthed in Port Hercules at the centre of the action for the race then you need to apply early. The superyacht world also descends on the principality for the Monaco Yacht Show every September. The biggest show on the superyacht calendar, it draws more than 30,000 people. Fine dining in Monaco:Monaco's best restaurants are worth leaving the superyacht for. With three Michelin stars, Louis XV restaurant at the Hotel de Paris is perhaps the most famous and grandest restaurant in Monaco. If you are looking for something slightly less formal Elsa, at the Monte Carlo Beach Hotel, offers fantastic seafood with a great view and Le Vistamar at the Hermitage Hotel has a beautiful terrace overlooking the harbour. Shopping in Monaco: As you would expect with a yachting destination associated with glamour and wealth there is no shortage of shopping opportunities in Monaco. Avenue de Monte Carlo is home to most of the major fashion labels while the Fontvieille and Metropole shopping centres offer a greater variety of stores. If you are looking for jewellery then head to the Place du Casino and its surrounding streets which is home to brands such as Cartier, Bulgari, Piaget and Van Cleef. Where to party in Monaco: Monaco is one of the top Mediterranean party destinations with much of the action taking place on yachts in Port Hercules — especially over the grand prix weekend. If you want to party on dry land then Jimmy’z nightclub is a legendary haunt of the rich and famous. Places to visit in Monaco: There are series of iconic sights that are well worth a visit while in Monaco — including Monte-Carlo Casino and Opera House, the Oceanographic Museum and the Prince’s Palace. If you have time try and take in a performance at Fort Antoine. This early XVIII century fortress is now used an outdoor theatre and can seat up to 350 people. 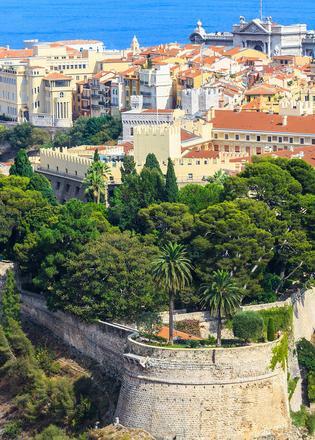 A stroll to Monaco's Jardin Exotique is also strongly recommended. Perched on a steep cliff the garden offers lush greenery set against stunning views of the sea. 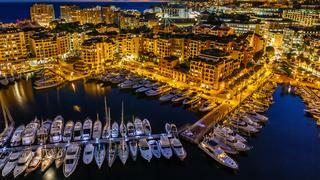 Superyacht marinas in Monaco: There is only one place to be berthed in Monaco — Port Hercules. It may not be a full-service marina, but it is probably the most sought-after location in the superyacht world. Facilities include electricity, freshwater, and fuel, and there are 30 berths for yachts of 25 to 30m, and 20 berths for yachts 30m over. Dress code in Monaco: Beachwear is fine on the beach or on the yacht, but elsewhere smart-casual and elegant is the way to go. At times, some of the smarter restaurants look more like a fashion parade than somewhere to get a meal, but that is half the joy of being on the Côte d’Azur. 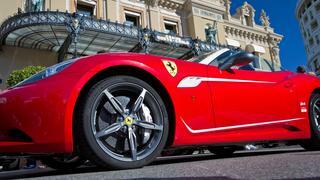 How to get around onshore in Monaco: For local destinations, taxis are the best way to get around. However, the traffic can be heavy and congested especially during the summer months. Many choose to take advantage of Monaco’s heliports and there is a shuttle service that runs between Nice airport and Monaco.